As you may have gathered I just love mail. Well, not bills or those random flyers we get. Goodness no. But real, quality, from-the-heart, extra special event coming up, “I-care-this-much,” and “you’re-worth-it-to-me” mail. And usually, the card or invitation or letter inside is fabulous, but the envelope leaves something to be desired… I mean, they can be downright boring at times. As a designer of Printable invitations and cards I am always looking for ways to encourage my customers to add that extra special edge. I find that not only is it fun to make these envelopes and add other special embellishments to cards but the person on the receiving end (please let it be me!) feels like a queen (or king of course)! Want some instructions or to see more picture? 1. Layers of textures and the bold color pallet? …gorgeous. I am in love with the thin black and white cord tying it all together. Created by Ruby and Willow for one super lucky couple. 2. 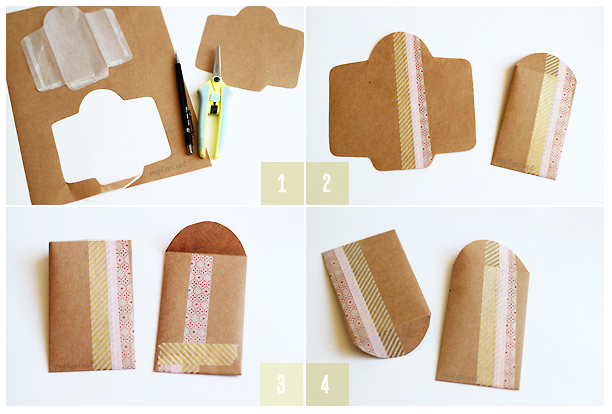 Ruth Bleakley from Poppytalk created a great template for small envelopes and a great way to make any size envelope you can dream of out of any paper you want! Such freedom…. I think I see some wrapping paper envelopes in my future. 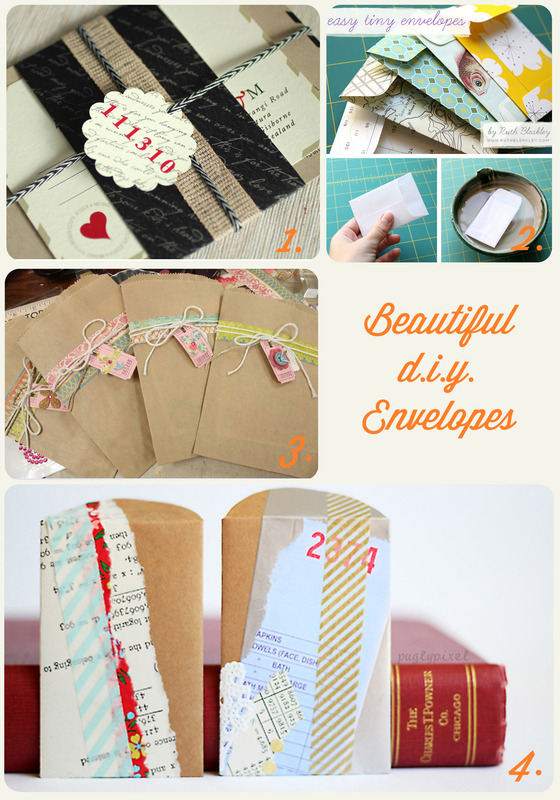 3. while these darling little bags aren’t envelopes per se… they totally fit and they would be such perfect additions to almost any mailable item I can think of. You may need an outer envelope in addition to this, but, really, it’s worth it. Imagine the smiles… created by the talented Michelle Wooderson of Mish Mash. 4. Custom Collage Envelopes from Pugly Pixel I so love the stripe of random elements that can tell a story, create a bit of drama about what is inside, or just be stunningly darling. Over all: I’m crazy about these! She also gives great instructions for making these from scratch. Image and instructions thanks to Pugle Pixel! I am happy that I noticed this blog, just the right information that I was searching for!